Not sure what gift to buy? A Lizzielane gift voucher lets your friends and loved ones choose exactly what they want from a full range of designer and fashion jewellery brands. Gift vouchers take the stress out of shopping for Christmas, birthdays and special occasions, and guarantees they will get the gift that they love. 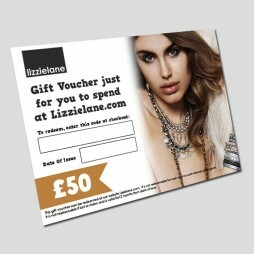 Buying Lizzielane gift vouchers couldn’t be easier. 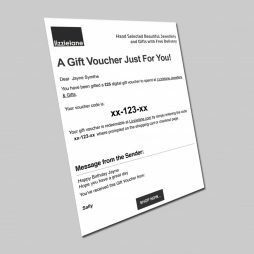 Simply select the value that you wish to give and we will send the voucher to you or the recipient, and they’re absolutely free to deliver!